I've been thinking about setting new goals for 2015. Before doing so, though, I'd like to review my 2014 goals. Stretching goals demand extra effort and focus. They require commitment, patience, and constant monitoring. Sometimes, when progress is not sufficient, they require changing your approach entirely. For 2014, I've set four different goals for DivGro. I'm happy to report that I've reached all four goals (as originally stated) and that I should reach the updated goal of writing 100 posts before the end of 2014. This is my 97th post of 2014, so I'm confident that I'll reach the 100 post goal before 31 December. Originally, I set a target of "only" 72 posts for 2014 (compared with 77 written in 2013). My justification for writing fewer posts this year was based on an idea to launch a second blog in 2014, one in which I would use options to magnify dividend income. Although I've made several successful trades this year, I'm still learning and I do not yet feel competent enough to share what I'm up to publicly. Consequently, I adjusted my goal to writing at least 100 posts for DivGro in 2014. 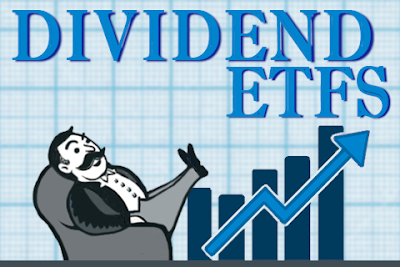 Through 15 December, I've earned $3,905 in dividend income in 2014. That is a significant jump from last year's earnings of $1,347. I'm very pleased to have exceeded this goal. It required committing to a recurring deposit of $2,500 per month, which certainly was challenging. Along thei way I added a few bonus deposits, such as this one on March 15. These bonus deposits helped me to handily exceed the $3,600 dividend income goal. DivGro's projected annual dividend income stands at $4,881, so I've reached this goal also. In fact, if not for the mess with SDRL, I would have killed this goal! Unfortunately, SDRL suspended its dividend and I had to remove $688 from my projected annual dividend income total in November. Projected annual dividend income of $4,881 means that DivGro will generate a minimum of $406 per month in perpetuity (as long as there are no more SDRL's in my future!). Both my watch list and my sector targets are dynamic. I update my watch list every month when Dave Fish's CCC list is updated. At the same time, I determine new sector targets. At a glance, I can see that DivGro currently is overweight in Energy and underweight in Utilities. (Since the targets are dynamic, I don't focus much on "add 1" or "remove 1" sectors). So, is DivGro "balanced across all 10 sectors"? 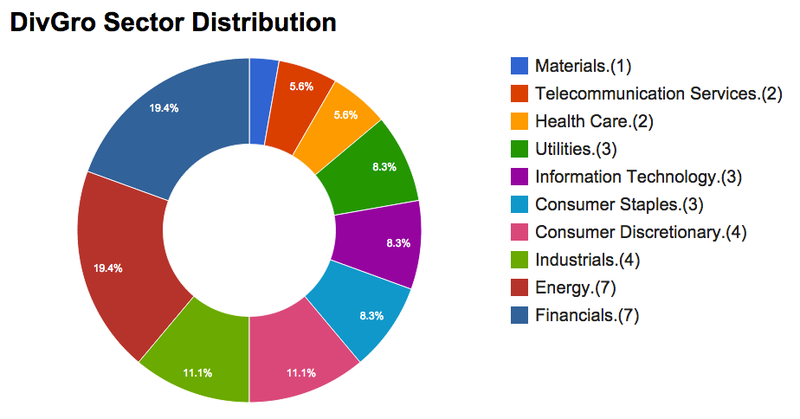 I would say that I still have work to do to match the sector distribution of stocks in my watch list. In fact, since the targets are dynamic, I'll always have work to do! Whether I call DivGro "balanced across all 10 sectors" or not, the fact that I have a system in place to adjust DivGro's target sector distribution on a monthly basis, is a success in itself! Thanks for reading. How have you faired as far as your 2014 goals are concerned? If you didn't set goals, are you planning on setting goals for 2015? Thanks for sharing your 2014 goals with us. Seems like it was a good year as you have accomplished pretty much everything you wanted to do. I wouldn't worry too much about your equal diversification for your portfolio. The reality is that perfect balance is rarely achieved and if it is it's temporary and strength or weakness in certain sectors stocks can throw things out of balance. The key is to be content with whatever portfolio diversification you have. If you see a particular weight that you are not happy with then you must make changes. Look forward to following your 2015 run! Hi DivHut -- thanks for stopping by. I agree it was a good year for me and I'm very happy and blessed that things have gone so well. I also agree with your sensibilities about portfolio diversification. I have a dynamic watch list and sector targets precisely because the relative strength of sectors change over time. When applying the series of filters to trim the CCC list every month, I get a good sense of how the sectors change. Thanks for your continued support and have a wonderful holiday season. Congrats for the increase from $1347 in 2013 to $3,905 in 2014. That is a very impressive jump to financial independence!! Thanks, Cazadividendos! Wouldn't it be great if it were possible to increase dividend income by 290% for a few years running... alas, that won't happen. But I'm going to do my best to make another good jump next year! The balanced portfolio is one that can be achieved over time. Personally I would not sell a position or add one ONLY for the purposes of getting a balanced diversified portfolio. IMO you already necessary safety in diversification. I agree -- I won't sell positions to increase diversification. I'll just add positions in underweight sectors if and when I can do so at a great discount to fair value. I don't have any issue with growing the number of holdings in DivGro to 42 or even 50 or more stocks. Some suggest that 36 (or more) holdings are "too many" to keep track of. I don't agree with that stance. First, allowed me to congratulation on the achievement of 2014 Goals! It is not an easy task and thanks for all your sharing. Looking forwards to your goal setting for 2015. Wishing you had a wonderful Christmas and a great 2015. Thanks David! I wish you a wonderful Chrismas and 2015 as well! My latest post is about my 2015 goals. Check it out... there are some really challenging goals I'm setting for myself for the new year. How Loyal Have You 3 Been?